Gua Sha, also known as “coining”, “skin scraping”, or “pressure stroking” is an ancient instrument-assisted massage technique utilized in Traditional Chinese Medicine. The best way to learn how to do gua sha on the face is by watching, so I’ve included an in-depth video tutorial at the end of this post. When done on the face, gua sha can reduce fine lines and wrinkles, restore firmness and elasticity, promote a brighter complexion, relieve jaw tension, promote lymphatic drainage, and decrease puffiness. It can also help with sinus congestion and I find that when I do it in the morning it helps with mental clarity and reducing brain fog. Important note: gua sha on the body (back, shoulders, and neck are the most common areas) and gua sha on the face are performed quite differently. While the point of gua sha on the body is to draw out transient therapeutic petechiae, you do not want to do that when practicing on your face. And a quick disclaimer: this post is shared for informational purposes only and is not to be misconstrued as medical advice nor is it intended to diagnose or treat any medical condition. Talk to your healthcare provider if you have questions or concerns. My acupuncturist instructed me to do facial gua sha in 2018 when I was dealing with some troubling symptoms related to my vision (light sensitivity) and eyes (dryness) as well as eyestrain. I also have chronically reactive lymph nodes behind my ears and many tender points on my face (especially in front of my ears and along my hairline) which correspond to specific acupuncture points that he told me I would benefit from stimulating daily with gua sha. I didn’t expect to notice so many positive cosmetic changes in my face and skin as a side effect! Body gua sha deserves its own blog post and literature review, and I have previously written about how I use gua sha on my back and neck as part of my ‘anti-crud protocol’, which you can read here. You can also see a video demonstration of gua sha on the back on my Instagram highlights by clicking here. In Chinese medicine, gua sha on the upper back, shoulders, and neck is a common treatment for colds, influenza, and fevers. In my own tenure as a patient of Chinese medicine, I have been advised to do it as a preventative measure if I’ve been exposed to someone who is sick or if I feel a virus coming on. If you are interested to know more about the science of body gua sha, this is a great overview of the scientific literature up to the year 2015, which includes studies that have found gua sha to effective in treating back and nec kpain, migraines, liver inflammation, perimenopausal symptoms, and breast distention/mastitis. A few other interesting papers have been published since then, including this study by Min et al. 2018 that found gua sha to “dramatically” inhibit expression of pro-inflammatory cytokines, including TNF-a, IL-6, and IL1B in a rat model of lumbar disk herniation. Facial gua sha won’t upregulate HO-1, though, since it does not draw out transient therapeutic petechiae. So what are the benefits of facial gua sha? Facial gua sha is a wonderful way to aid lymphatic drainage out of the face and down the neck. It is also fantastic, like any form of massage, for relieving muscle tension. Look at all of those muscles who want TLC, too! And since this is a technique that originates in Chinese medicine, it’s helpful and interesting to look at all of the acupuncture channels (meridians) that are on the face that you can stimulate with facial gua sha. When you see the anatomy of what lies beneath the surface of the skin on the face and neck, it makes more sense WHY facial gua sha is beneficial and also HOW to do it for the most benefit. The flow of lymph only goes one way: towards the heart. If you look at the anatomy drawings above you’ll see the network of lymphatic tissue that runs from the center of the face towards the ears and down the neck. That’s exactly the kind of flow you want to have with your facial gua sha session: moving from the center of the face outward, with finishing strokes moving down the neck. One of the biggest positive cosmetic benefits I notice when I perform facial gua sha on myself is a reduction of facial puffiness, most notable in my cheeks. You could say that it sculpts my cheeks. Others may notice de-puffing on their jawline, under their eyes, or in the forehead. The reason that facial gua sha reduces puffiness is due to the drainage of lymph out of the face and neck. I also notice a reduction in the appearance of fine lines, especially the “number ones” or “elevens” between my eyebrows. Using a non-toxic anti-aging eye cream on those same lines has helped them to fade over the last few years, but adding gua sha has helped reduce them even further. If I wake up from a night of frowning in my sleep, the evidence disappears quickly after my morning gua sha session. Here is one set of before and after photos, taken immediately before a gua sha morning session that lasted about 15 minutes and immediately after. There’s a big reduction in cheek puffiness, my lips are fuller, my eyes are more relaxed, and the 11’s are much less visible. Gua sha is an acient folk medicine that has been used for thousands of years. When I asked to my acupuncturist about the correct way to do facial gua sha, and shared with him a couple of different videos of “influencers” showing what they declared to be the “one correct way to do gua sha” he laughed. Saying that there is one correct way to perform gua sha (facial or otherwise) is like saying there is one correct way to dance, or sing, or cook a chicken. But here’s what I have learned: committing to a daily facial gua sha practice is a fantastic way to tune into what YOUR body needs. 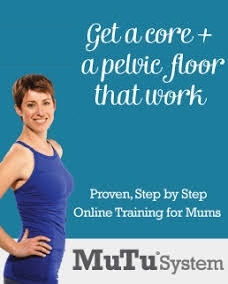 I have honed in on my favorite routine and technique, but it is most certainly not the technique that everyone should follow. Gua sha technique exists along a continuum where you can vary a number of factors, including the angle at which you hold the tool against your skin, the amount of pressure you apply, and how quickly you stroke the skin. None of these are wrong, they are simply different. The best way to do facial gua sha is to practice, and play around with modifying the technique, and remember to do what feels good. If you feel pain, you are doing it wrong. You may, however, uncover tender points (which will often correspond to acupuncture points) that are good to stimulate, but you’ll know when you cross that threshold into painful. To me, it feels amazing to linger behind my ear and to spend extra time massaging down from that lymph node down to my collar bone. And pressing on my third eye (acupuncture point yintang) with a flat tool and slowly drawing it upwards. But that doesn’t mean those are the only correct way to do it. You may find other movements that feel the best on YOUR face. So here’s my advice, use my videos as a starting place to explore your own body. And don’t forget to take before and after photos so you can see how these techniques affect your skin! Sign up with your email address to receive new blog posts and other fun stuff! Remember to pull the tool across your face, don’t push it. Think of spreading butter on toast. Pulling comes more naturally when you use the same hand as the side of the face you are working on; if you try to use the opposite hand you’ll be more likely to try to push the tool (this is demonstrated in the video). For the gentlest and most relaxing type of gua sha facial, use long, slow, meditative strokes with a thicker tool laid as close to flat against your skin as possible. You can vary the pressure from light to more firm. You can even turn it into a type of moving meditation by coordinating your breathing with the strokes. When doing this style, it’s best to anchor the skin where you begin each stroke using your other hand. You’ll need to allot more time for this style, ideally at least 5-10 minutes, but you can drag it out even longer if you wish. For a more invigorating facial, use rapid, short strokes with light pressure and a wider angle. I don’t like to go wider than about 45 degrees because I don’t want to risk accidentally drawing out sha marks (petechiae) which I have done before. There are a number of different classical shapes for gua sha tools. Some of them are better suited for the face. 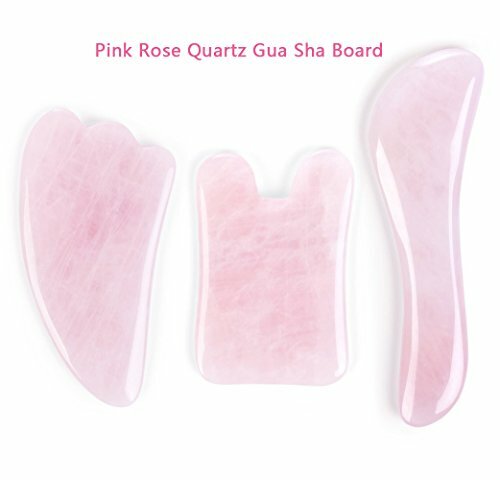 My favorite gua sha tool is the “H” shape, also called the “puzzle piece” shape, but I also enjoy using the “S” shaped tool and the heart shaped tool as well. I really like the way the deep notch in the H shape tool can hug the contours of my face, especially behind my ear and on my cheekbones. You’ll see in the video tutorial! I purchased my tools from my acupuncturist, but you can also buy them on Amazon. Gua sha, whether it is done on the face or body, must be done with some type of oil as a lubricant for the tool. So when doing facial gua sha, it makes the most sense to do it as part of your daily skincare regimen. I prefer to do it in the morning since it helps my mental clarity and reduces brain fog. Plus after realizing how much it positively impacts my appearance I switched from doing it at night to doing it in the mornings. I like to call jade rolling “gua sha lite”. It is a lovely practice, and can feel really good, but I have never seen it make a noticeable difference in facial inflammation/puffiness or do anything to reduce fine lines on my face. However, it is much gentler than gua sha and could be used to work up to being able to do gua sha eventually. I also like to use my jade roller to help work skincare products into my skin. It can be a fantastic way to finish a gua sha session to work any extra facial oil into your skin. 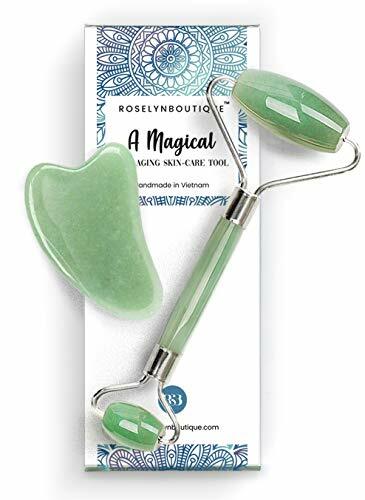 I did purchase my jade roller on Amazon, and it comes with a bonus heart-shaped gua sha tool! Do not do gua sha on fresh botox. Talk to the provider who injected it to find out how soon you can safely implement facial massage. Do not do gua sha on top of injected fillers in the face. 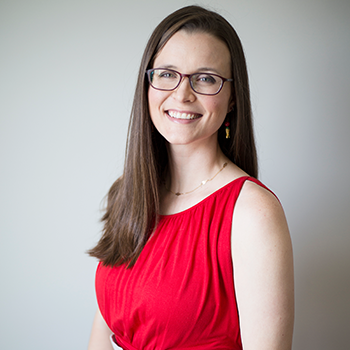 It’s best to consult with an acupuncturist if you are dealing with any kind of skin problems like acne or rosacea. It’s best not to do scraping on top of areas of active inflammation, but to instead do the strokes on the other areas of the face, and especially on the neck to promote lymphatic drainage. You can place your gua sha board in the fridge or in a bowl of ice water (just dry it off first) and press it gently into areas of inflammation. If you’d like custom recommendations for skincare based on your skin’s needs, please take a few minutes to fill out this skincare consultation questionnaire and I will get back to you as soon as I can with regimen suggestions. If your facial skin is just too sensitive for gua sha, you can start with jade rolling instead and hopefully work up to being able to do gua sha. This video contains more information in the beginning and then a thorough demonstration to empower you to begin your own facial gua sha practice. Please tag me on Instagram @thecuriouscoconut when you do your facial gua sha! And please reach out with any questions. Want more skincare discussion? Join my Facebook group! Facial gua sha is trendy, but are you doing it right? Learn everything you need to know to start doing the best possible facial gua sha routine for YOUR body. Benefits include lymphatic drainage (and reduced puffiness), softer, smoother skin, reduction in fine lines, and a brighter more even complexion! Marion, T., Cao, K., & Roman, J. (2018). Gua Sha, or Coining Therapy. JAMA Dermatology , 154(7), 788. Cai, G.-Y., Chen, Q.-W., Lin, L.-H., & Yao, Z.-Y. (2018). Gua Sha therapy for treating perimenopausal syndrome: Protocol for a systematic review. European Journal of Integrative Medicine, 17, 40–44. Min, Y., Hongyan, Z., Rongzhao, Y., Qinchuan, S., & Yaoyao, B. (2018). Gua Sha attenuates thermal hyperalgesia and decreases proinflammatory cytokine expression in serum in rats with lumbar disc herniation induced by autologous nucleus pulposus. Journal of Traditional Chinese Medicine = Chung I Tsa Chih Ying Wen Pan / Sponsored by All-China Association of Traditional Chinese Medicine, Academy of Traditional Chinese Medicine, 38(5), 698–704. Ren, Q., Yu, X., Liao, F., Chen, X., Yan, D., Nie, H., … Zhou, X. (2018). Effects of Gua Sha therapy on perimenopausal syndrome: A systematic review and meta-analysis of randomized controlled trials. Complementary Therapies in Clinical Practice, 31, 268–277. Saha, F. J., Brummer, G., Lauche, R., Ostermann, T., Choi, K.-E., Rampp, T., … Cramer, H. (2019). Gua Sha therapy for chronic low back pain: A randomized controlled trial. Complementary Therapies in Clinical Practice, 34, 64–69.